Selected Seeds is a world leader in the forage seed industry. Providing quality forage seed solutions for both domestic and international customers, Selected Seeds is dedicated to remaining at the forefront of research and development and partnering with the best specialists in the world to ensure it offers a product that will help maximise forage productivity. Selected Seeds is focused on tight quality control, continuity of supply and advanced production and processing techniques. With a continued desire to directly service and supply world markets, Selected Seeds is dedicated to producing seed cultivars that meet clients specific needs. A dynamic team of highly experienced specialists can assist with technical advice and specific recommendations to ensure maximum performance. Reclaimer Rhodes Grass is a tufted, spreading, extremely palatable, perennial sub tropical grass. Ideally suited for cultivation in tropical and subtropical areas, it can be used as green chop or hay. Dash Lablab is a fast growing annual, tropical legume. This legume is renowned for high dry matter production in hot temperatures over a range of soil types. 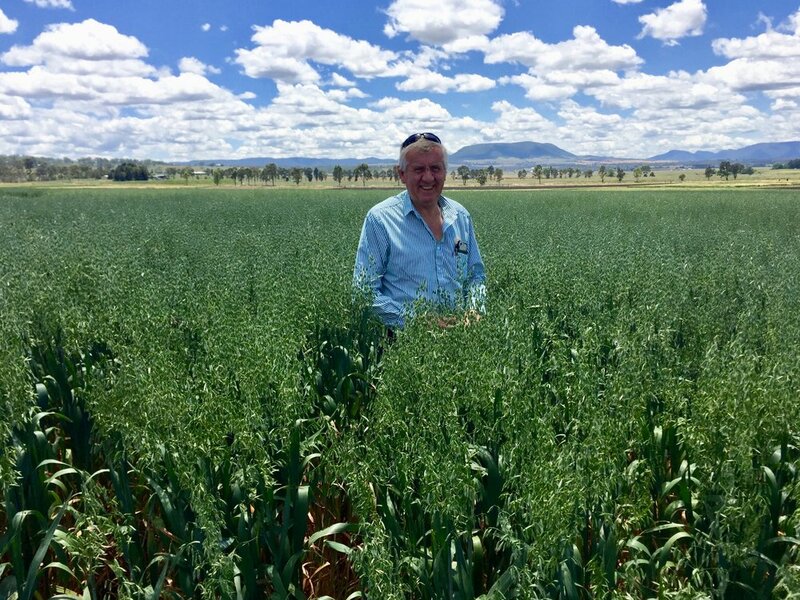 Brigalow is a new forage oat variety being introduced in the Australian market. It has been evaluated in Australian field trials for four years, in a range of locations. Brigalow has demonstrated good performance in all locations. *Unauthorised commercial propagation or any sale, conditioning, export, import or stocking of propagating material of this variety is an infringement under the Plant Breeder’s Rights Act 1994.